Sat inside, where the ambiance is just like a charming restaurant in Mexico. Food was delicious, the flan was so good! You win done and lose some...unfortunately this was a loss. We went with my family and from the guacamole to the tamale the food was flavorless. The veggies were cold and the beans were not tolerable, just awful. The live music was the best part. Everything very fresh and tasty. We sat on the patio. Was busy so make a reservation to insure seating. The people were super friendly but the food was very smoky not ours taste. Our table faced a wall so we were looking at a brick wall. Just not our style of Mexican food. 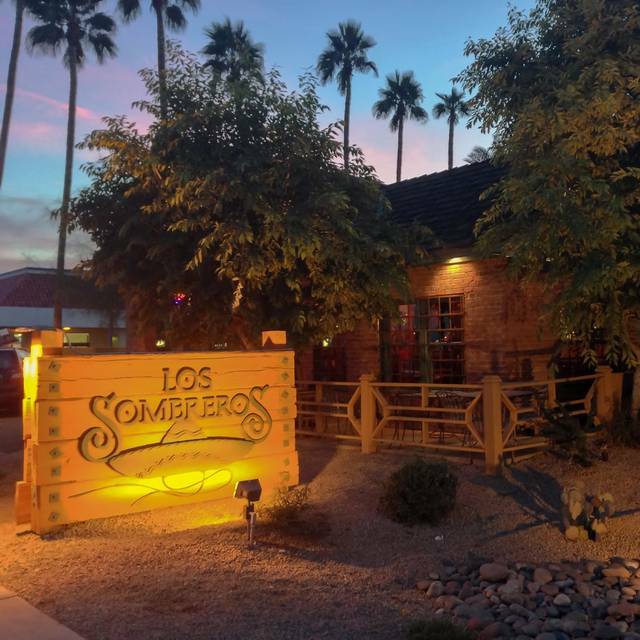 We enjoyed our time at Los Sombreros and everyone liked their food. It was a cute outdoor patio area. Service was lacking, and I don't like to say that about servers, because I was one for years, but it takes away from the experience when it seems like your server is just annoyed with you constantly. Very, very mediocre service. Had to ask multiple times for our side order and additional salsa. Asked for to-go box for my 2 tacos and they never brought it. Finally got up and left them there. Used dark meat in a number of dishes and in the quesadilla. Was my third time here and the first two were much better. As always, friendly and welcoming people, outstanding service, and excellent cuisine. 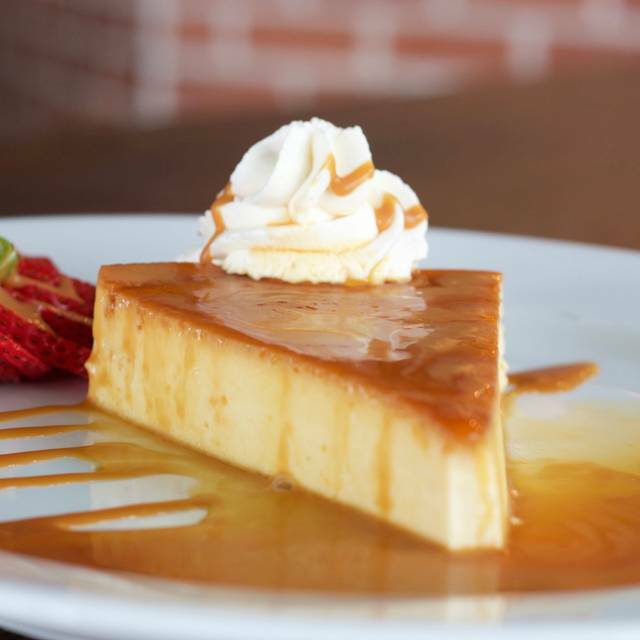 Save room for dessert! Family owned, friendly staff. Most dishes very good, particularly the specials. Good food. Small portions for the soft tacos...but good. Awesome! We love everything about Los Sombreros!!! Great place. Been several times. We made an outside reservation and upon arrival our table was ready. Atmosphere was fantastic and enjoyed both owners stopping by our table and inquiring how everything was. Keep up the good work guys. Found this place while visiting from California. Cute place with really nice/good service. Food was yummy and not overpriced. Good happy hour specials too. We enjoyed the patio seating with our children. This was my third time visiting this restaurant. They have expanded their menu. It is a good Mexico meets Arizona mix. They have options for meat eaters, gluten-free, vegetarian, and vegan. It was busier than I have ever experienced here, despite being an early evening on a Tuesday. It was definitely good that I made reservations. I suspect this being Spring Break/end Spring training/MLB about to start had a lot of people in town and nice weather had people out and about. It took about an hour to get our food, but we had chips and salsa and a small guacamole appetizer to tide us over. The servers are always friendly and the food and drinks are good. We were seated at a small table and it would have been helpful if they cleared empty dishes out of our way before the very end. We were on top of each other with everything. I could tell the staff was pretty busy. We sat outside on the patio, and it was particularly nice after dark when the pretty white lights came on. 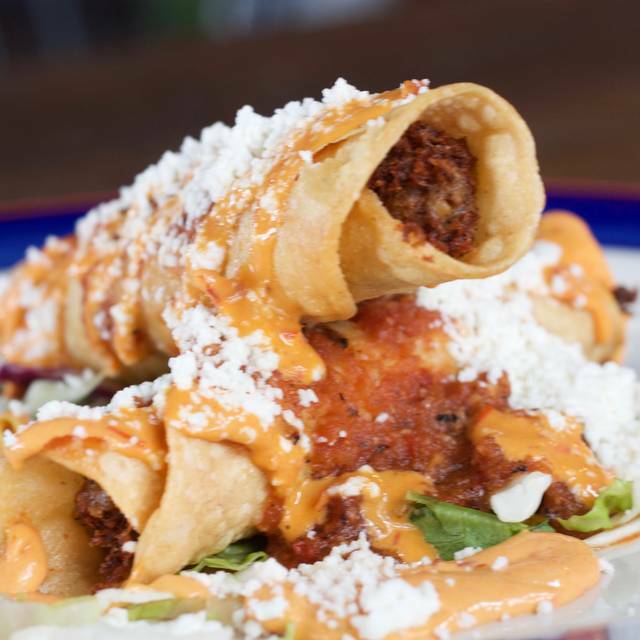 The menu is much more interesting than your typical Mexican restaurant, with some very creative dishes to choose from, some made with crab, some with goat cheese, and some with mole sauce, just to name a few. Our waiter, Jesus', was professional, helpful, and friendly. We liked all 3 kinds of sangria - the white, the red, and the one made with sparkling wine. We thought the complimentary chips and salsa were very good - one of the salsas has a bit of a smoky flavor. I ordered the chicken enchiladas with mole, and it was very good. My husband ordered the lamb shank and he liked it as well. For desert, we had the Mexican chocolate mousse pie, and I would highly recommend it. We had a large group (10 of us!) and they were very accommodating. Everyone was impressed with the food and drink quality! A perfect evening to sit outdoors. The patio is pretty under a beautiful ficus tree. Our server was attentive and friendly. 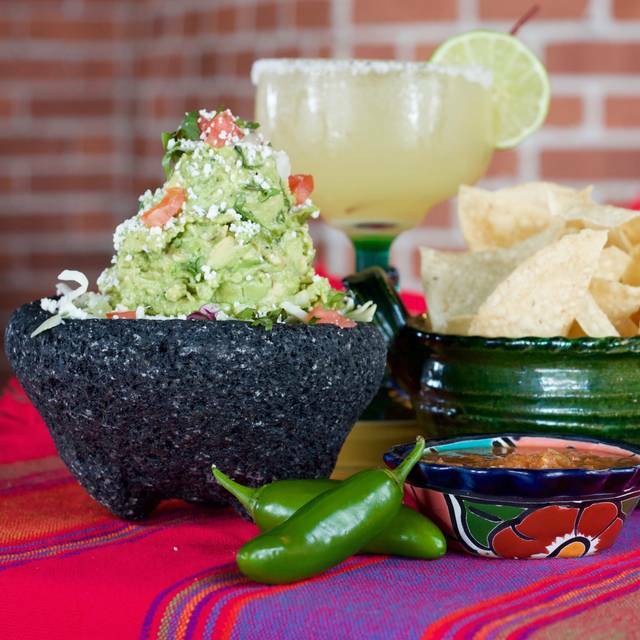 The guacamole is delicious and presented in a great stone bowl. Always have puerco en chipoltle which is the most tender pork in a sauce that is hard to describe - fresh, spicy, smokey - unbelievably flavorful. Very nice little place with great outdoor seating in the back. We enjoyed our dinner and the waiter was very nice and the good quite good. Ask to sit outside in the back if the weather permits. They have a cool little bar area too if you need to wait. I'd make a reservation. Always amazing food and service!! Love this locally owned place! To be honest I was a little disappointed. The drinks were just ok. The food was good, but the portions were kind of smallish. Everyone was really nice though, especially the adorable little hostess. She made the evening much better. Absolutely wonderful, as always! Food was terrific, service spot on, and outdoor patio perfect! Jeff was extremely helpful in trying to seat us indoors on a rainy night but we opted for a covered outdoor hightop in the bar area to reduce the wait time. 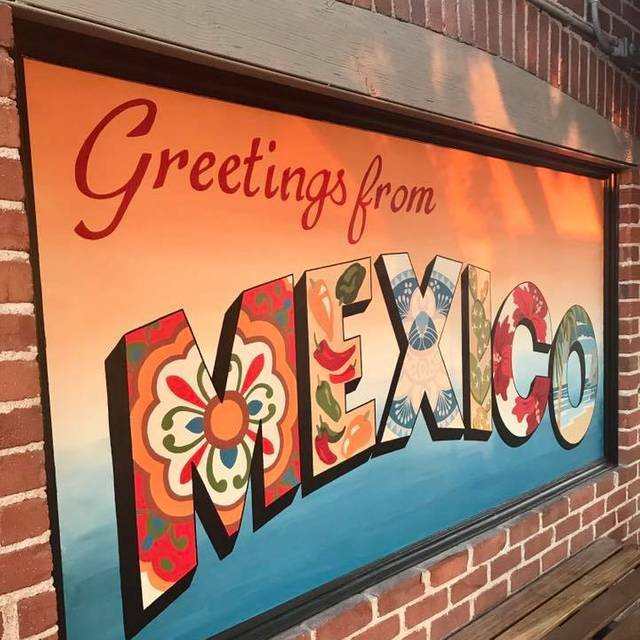 Really enjoyed the food -- many popular Mexican dishes (no fajitas, just fyi) and quite a few unusual ones for an American-Mexican restaurant. Loved the whole experience, so glad we chanced upon this little gem! Brought family here from out of town for al fresco dining. Had a lovely meal complete with a guacamole, salsa and chips starter. I thoroughly enjoyed my tacos and our parents loved their dishes! We opted to skip dessert but did partake in some cocktails. Excellent food, great service and a wonderful atmosphere. Highly recommend. We will definitely be back! Thanks for a great evening! Mother/Daughter spring break dinner. The waitress was very friendly. The owner came up to our table and introduced himself. Authentic Mexican food! Always a great experience! How they manage the dinner rush smoothly is beyond me. Had planned to take a friend from NY to Lons Hermosa Inn for dinner but his plane arrived late. We took him to Los Sombreros as a backup 8pm, casual option. I had never been there so I was nervous. I didn't need to be. We were early so our table wasn't ready yet. 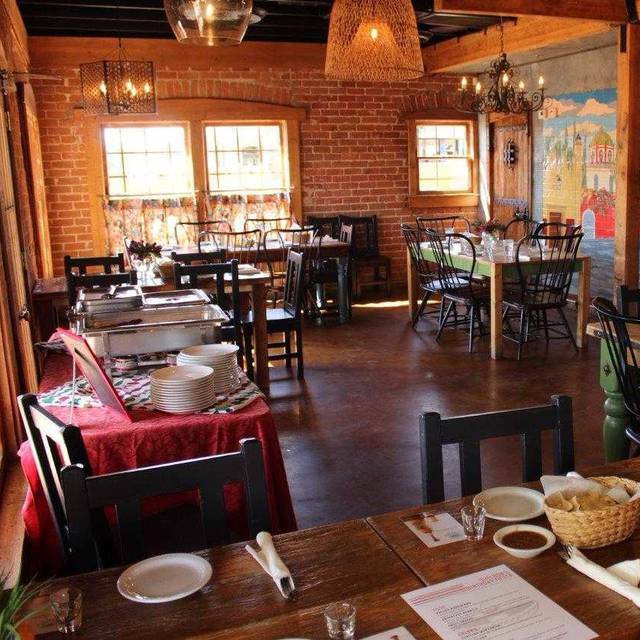 The building is an old brick house converted into a restaurant. Adorable, beautifully lit patio with lots of casual seating. Plenty of room at the little outdoor bar where we got delicious margaritas, fresh chips & 2 different salsas. The salsas were thin but fresh. Could have used a touch more seasoning but still good. My daughter had virgin margaritas made with the same care as the originals and felt just as festive. We were seated inside within 10 minutes. Rustic, light, clean ambiance, tile flooring & wood tables felt cozy. Huge menu. We started with OUTSTANDING guac. 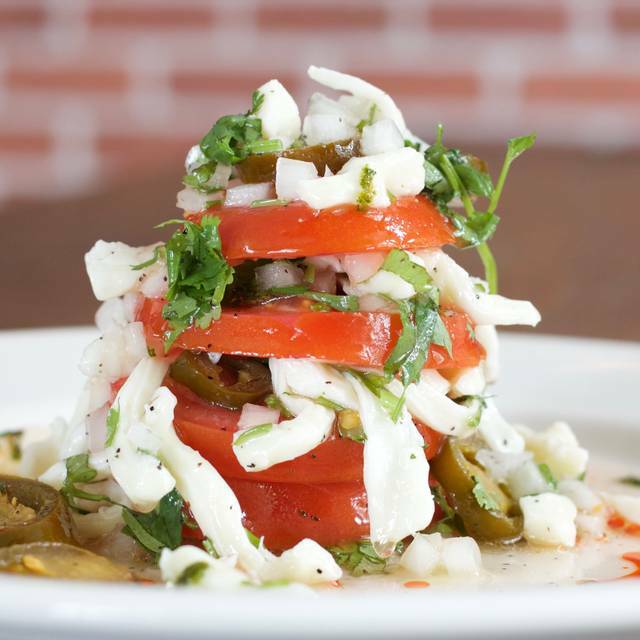 Piled high with fresh tomatoes, thinly-sliced cabbage, cilantro & the delicious chips. The small was PLENTY for 4 of us. I ordered the chile relleno which was fantastic. Plated, it is gorgeous and colorful. The egg batter was light, not oily, the poblano filled with melted cheese but not overwhelmed. It was topped with FRESH veggies & had a "tomato sauce" I thought might be heavy but it was DIVINE. The lightest, freshest tomato sauce I've ever had paired perfectly with the relleno. ALMOST as good as my mom's. Shhh. Others ordered street tacos (ribeye/chicken). Fresh, tiny corn tortillas and perfectly seasoned meat. 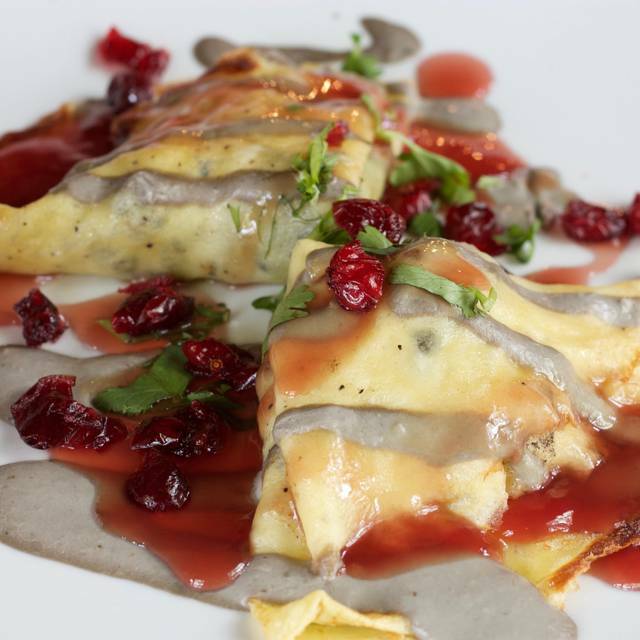 NY guest asked for special request of pork enchiladas & some filling I can't remember instead of what was on menu. The server (Gabriella) was nothing but accommodating & his meal was delicious. My only (minor) complaint was the rice. Although the texture was perfect, it could have used a touch more seasoning. 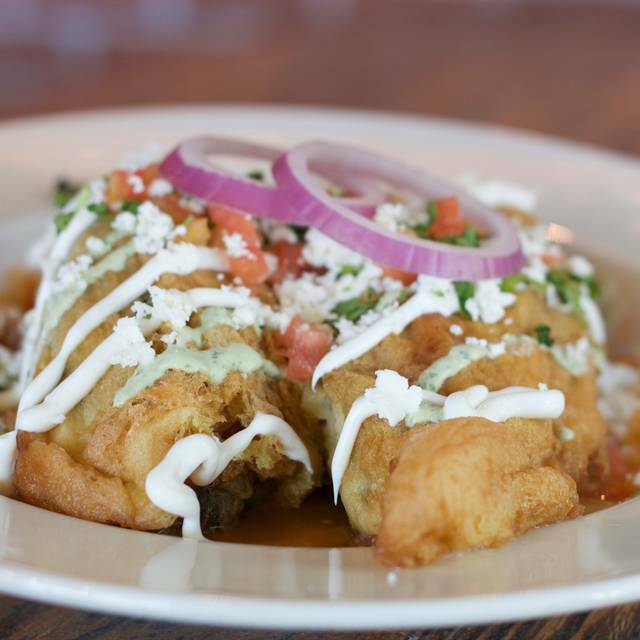 The refried beans were good but, honestly, I could not get enough of the relleno. We were full and happy so we passed on dessert. We will absolutely go again and highly recommend it to you. ¡Provecho! Los Sombreros was a fun dining experience. Very authentic cuisine and a nice relaxed, casual atmosphere. Outdoor patio was great!